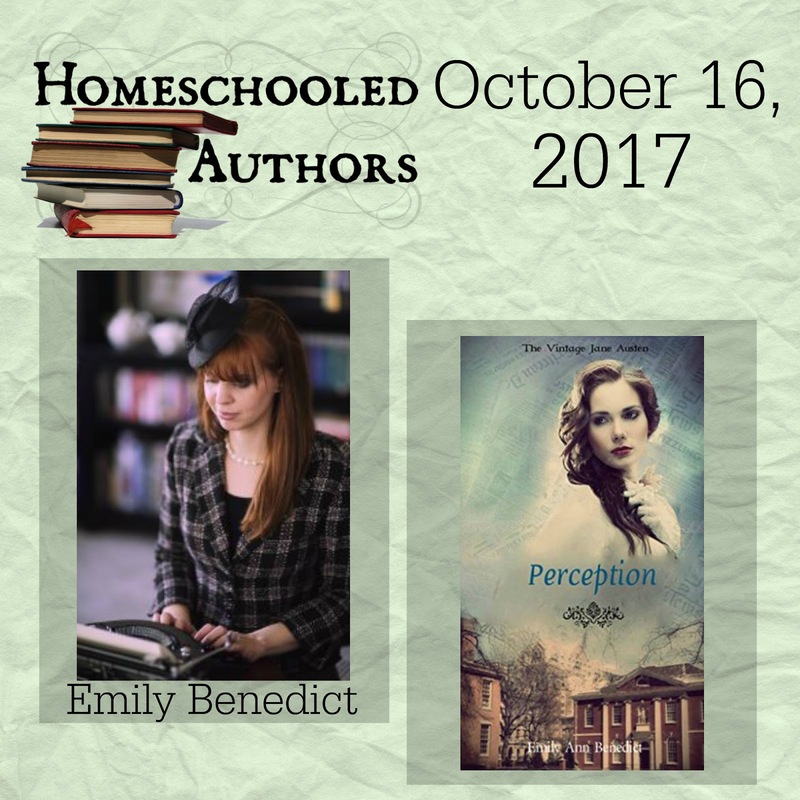 Emily Ann Benedict, welcome to Homeschooled Authors once again. What have you been up to since you last time you were here? The Vintage Jane Austen project has taken up all of my writing time since my last book was posted here. I’ve been really pleased with the reaction the series has gotten so far. It’s been both a challenging and fun project to be a part of. Sarah Scheele, who authored Bellevere House (Mansfield Park) originally brought me into the project. We had been corresponding for years and Jane Austen often came up. I immediately wanted to be a part of it. I felt like finding ways to change so many particulars and plot points from Regency England to Depression Era America was the most creatively satisfying part of this project. When I really started to look into the history of both times, I realized there were so many places they just suited, especially when it came to re-writing Persuasion. The return of the military from the Napoleonic wars and the back story of a once wealthy family dealing with financial difficulties fit so perfectly into 1930s American, which was populated with WWI veterans and plenty of money problems. I actually think having an excuse to re-read Austen was my favorite part of this project. She is one of my favorite authors, but it has been years since I’ve had the opportunity to get back into her work. Her writing style is so inspiring and so delicious at the same time. What was the most challenge part of this project? I was often challenged by the need to make this both a unique story and remain true to original novel. I wanted the structure of Persuasion to remain the intact, because I felt like that was right for this project. But at the same time, I didn’t want the reader feeling like they were just re-reading the same exact story with just a few period details added. In some places that meant taking things that happened “off camera” in the original story and bringing them into the narrative and in others it meant adding new scenes or plotlines. I really agonized over this at times, but I think I finally found a good balance. I’ve always longed to be like Fanny Price from Mansfield Park. She was my hero when I was in high school! But I often tell people I’m more of an odd mixture of Elizabeth Bennet and Marianne Dashwood. In other words, I have a fondness for wit and I feel a little too deeply. Which one of the characters in Perception are you most like? I guess I sympathize most with Abbey (Anne Elliot). We are similar in age, which helped my perspective when writing her and we are both the type of people who are more accustomed to being the workforce behind the scenes. Tell us the synopsis for Perception. 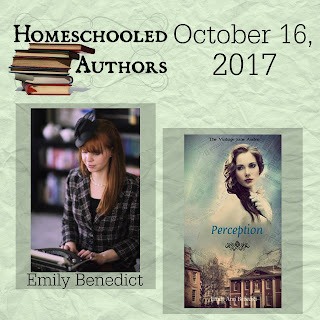 Thirteen years ago, Abbey Evans was persuaded to break off her engagement to a penniless soldier headed to the front lines of the Great War. A daughter of one of America’s wealthiest families could never be allowed to marry so far beneath herself. But Black Tuesday changed everything. Facing both the loss of her beloved home and the loss of a second chance at love, Abbey’s fate lies in her own hands for the first time. Perception can be downloaded on Kindle, through Amazon. The hard-copy will be available soon! "I'm not saying I'm still in love with Freddy Williams," Abbey replied in a rising voice. "I’m saying that after my experience with him, I can't settle for merely liking a man when I've known what it’s like to love one." Loved the book and your interview! It's very interesting how you identify with Abbey Evans.